Shopclues Running a New Sale Called "Night Out Sale" Where you can grab Products Starting at 55 Rs only! 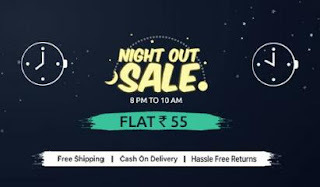 How to get Shopclues Free Ka Store Products Flat Rs . 55?